Bono, Have You Been to Africa? "And there won't be any snow in Africa this Christmas time." Well, duh. First off, there isn't much of a winter anyway when much of the continent is near the equator. But more interestingly, a big part of the continent is on the southern hemisphere. Winter lasts from June to August. Even in areas on the equator, like Kenya, the warmest time is February-March and coolest July-August. It is only far up in the north end where winter comings at the same time as in Europe. So, dude, there is no snow in Africa because you have the wrong time of the year. And its a damn warm place anyway, you'll find snow only at the far ends or at the highest mountain tops. Except that the as we arrived to the hill the next day, the frost was gone. The snow was also disappearing fast, given the rain and the warm temperature. 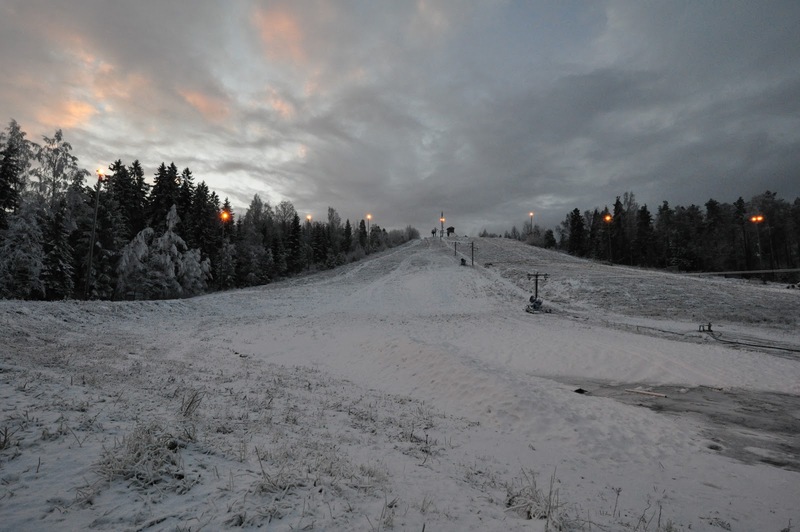 Oh well, the slope would probably still be skiable, even if it was not as pretty as it had been on the previous day. Janne and I started climbing. 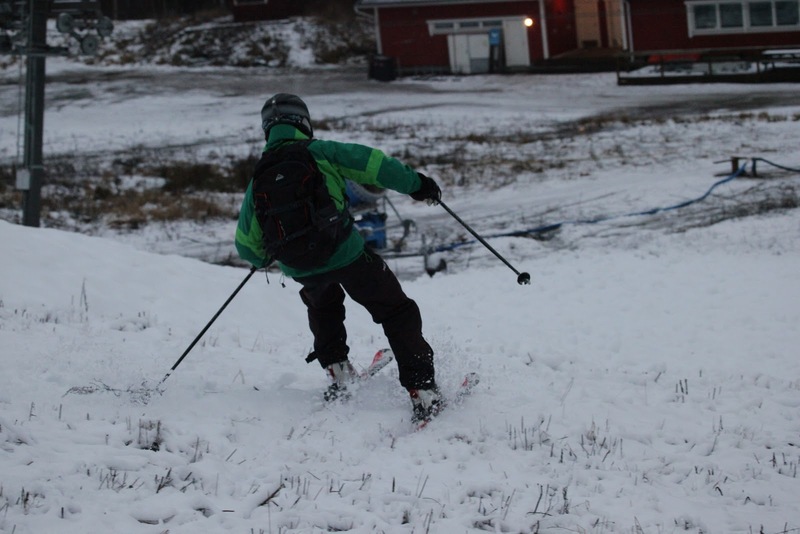 Janne, 9 years, wants to lead, and wants to be the first one to ski the hill down this winter. Who does he get those crazy ideas from? 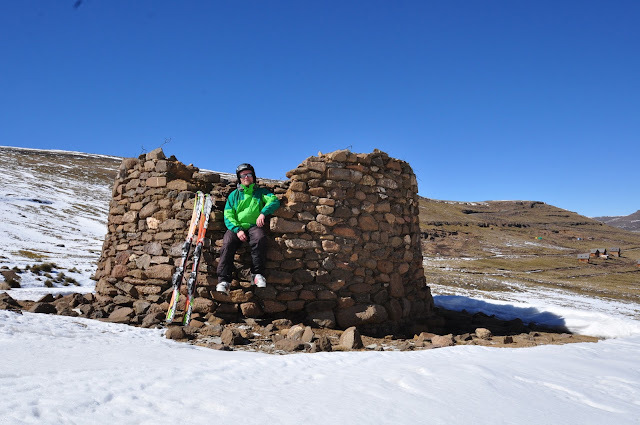 As we reach the top, it turns that the skiing is not easy. There is too little snow. Hidden in the grass there are recently cut stumps of small trees and bushes. 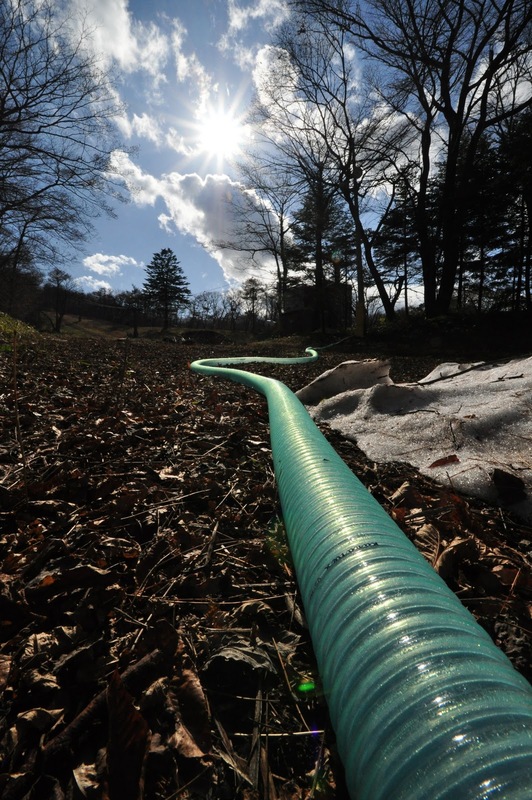 Not to mention rocks, abandoned flower pots, and water lines for snow making. Turning is not easy. 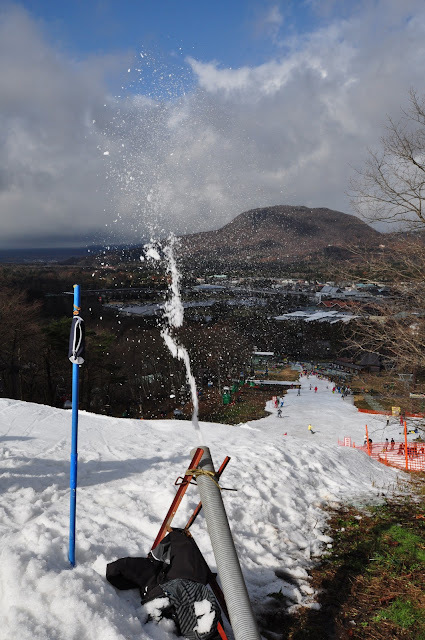 And where there is enough snow from the snow cannons, it has formed crusty shapes that are not easy to ski either. We do make it down, however, and return to the top a couple of times. 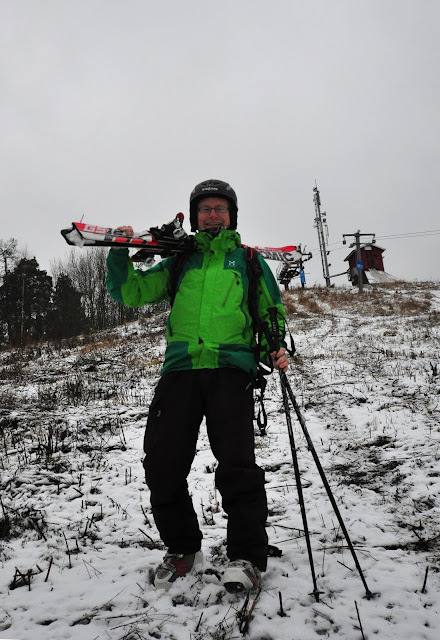 My traditional Christmas skiing session is complete. And my skis are still relatively unscathed. All is well, I'm ready for Christmas and there is still couple of hours left of December 23rd to do all that Christmas shopping. The lesson? When the conditions are perfect, drop everything else and go skiing. The next day rain or some other reason may make it impossible. My plan was to go to Nagano, the area for premier ski resorts in Japan, but the webcams looked depressing. A call to a hotel in the area confirmed that there was no skiing, despite claims otherwise on their websites. But my flights were set, so I was to stay the weekend in Japan, snow or no snow. I knew there were several indoor ski halls, but I had already gotten enough from indoor skiing recently in Beijing, Peer, Neuss, and Hong Kong. Desperation sets in. 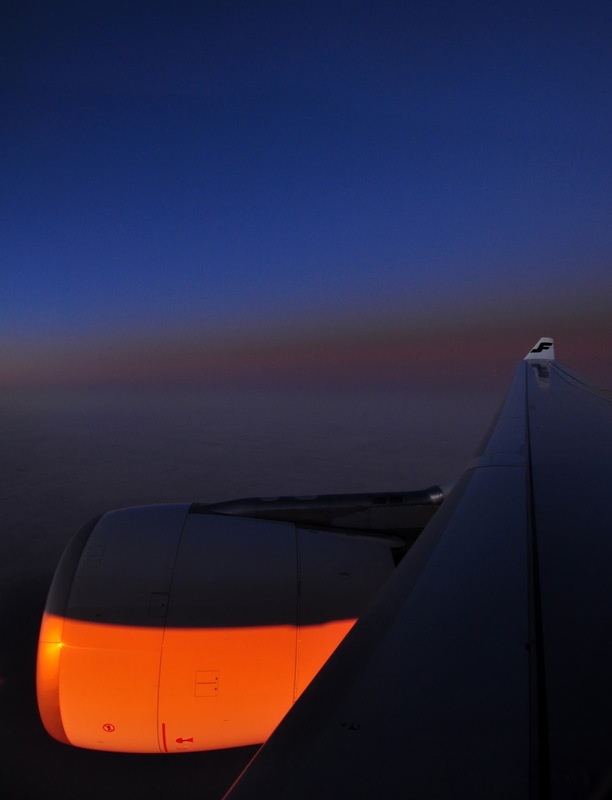 Could I fly to Hokkaido? 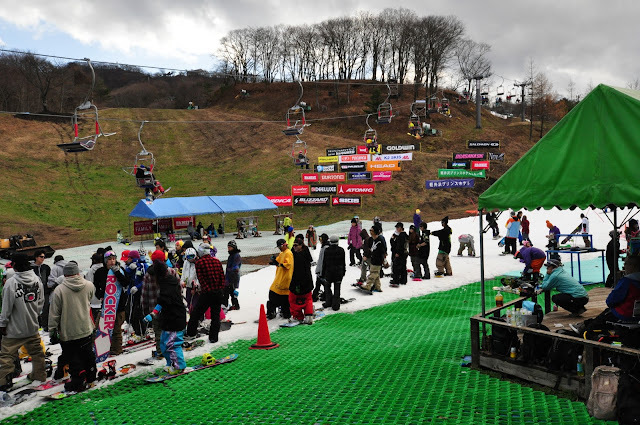 Are there are any other open ski areas in Japan? Fortunately, my friend Itsuma came to the rescue. He pointed out a small ski area of Karuizawa, 200 kilometers from Tokyo and 80 kilometers from Nagano. It is open. For real. I make the decision to go. Of course, going was not that easy. I am carrying almost 70 kilos of luggage, I have no clue about the language, and the trip involves buying tickets, making seat reservations, and changing trains. But Itsuma comes to the rescue again. He prepares a slide set to guide me through the journey, complete with relevant excerpts from timetables, suggested routes through the central station, and pictures. (Thank you!) This is yet another example how nice people are in Japan. Always willing to help and always smiling. What a nice country to visit! Armed with a printout of the slides and some local currency I find my way through the system and after a few hours arrive at the Karuizawa train station. It is raining, but I can already see the ski slopes! When I manage to carry my heavy load out of the station, I spot Karuizawa Prince Hotel's minivan. Perfect. They can take me to the hotel. I end up using these small cars six or seven times during my visit, usually carrying just me, leaving in a couple of minutes after I ask for a ride, costing nothing, and the guys even carry my skis from the lift to the parking lot. I guess these services are part of my stay at this expensive hotel at 250€/night. Oh well, this is probably still less than I would have paid if I had stayed in a hotel near Tokyo. And I'm glad I'm here only for one night. Strangely enough, the hotel and town are full of people. And they do not appear to be dressed for sports. 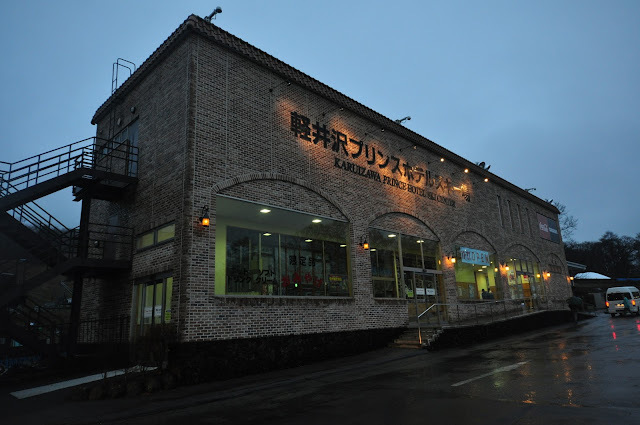 It turns out that Karuizawa's main attraction is not skiing but shopping. The town center is one big shopping area, apparently specializing on fashion. The ski area has two chair lifts and two runs open, but the rest of the mountain is completely free of snow. No wonder, given that it is +15 Celsius and raining heavily. 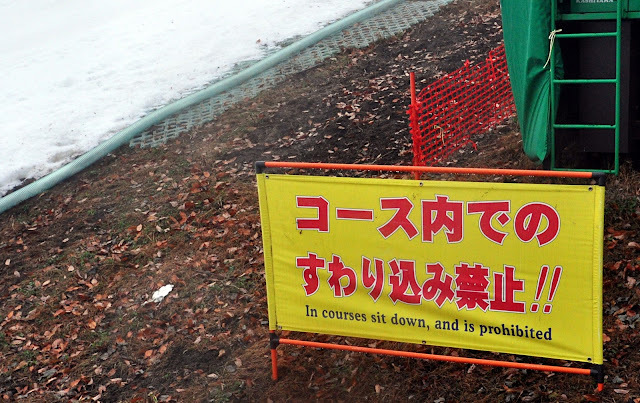 But how did they manage to open the two slopes, then? The answer is in the snow machines. 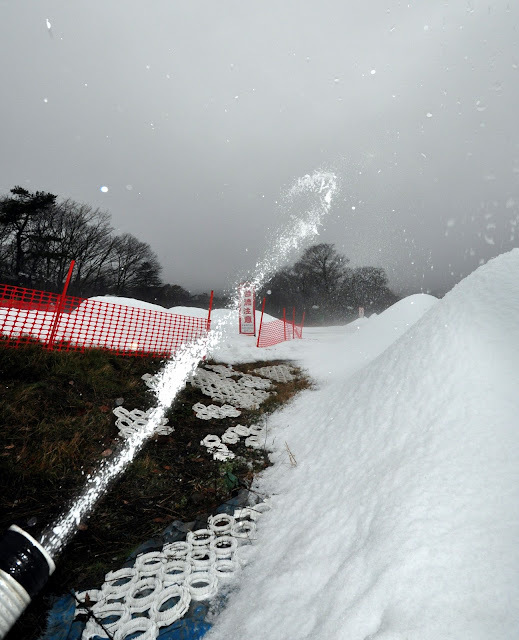 Karuizawa does not employ usual snow cannons that require freezing temperatures to operate. They employ gigantic ice machines that manufacture snow no matter what the temperature is outside. The machines are placed in containers around the mountain. I was not able to determine what was inside the containers, but various cooling and vacuum techniques have been used elsewhere in the world. The vacuum ice maker technology is particularly interesting. It works by exposing cold water to vacuum, forcing some of the water to evaporate and the remaining part to partially froze. The resulting frozen slush can be separated to cold water that can be fed back into the process, while the ice particles can be blown out to the slopes through long tubes. 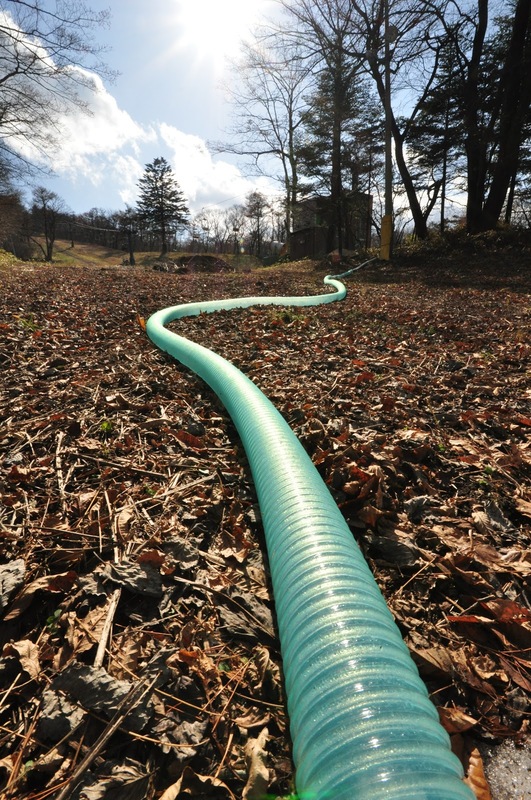 Karuizawa is able to keep two slopes open with this technology. 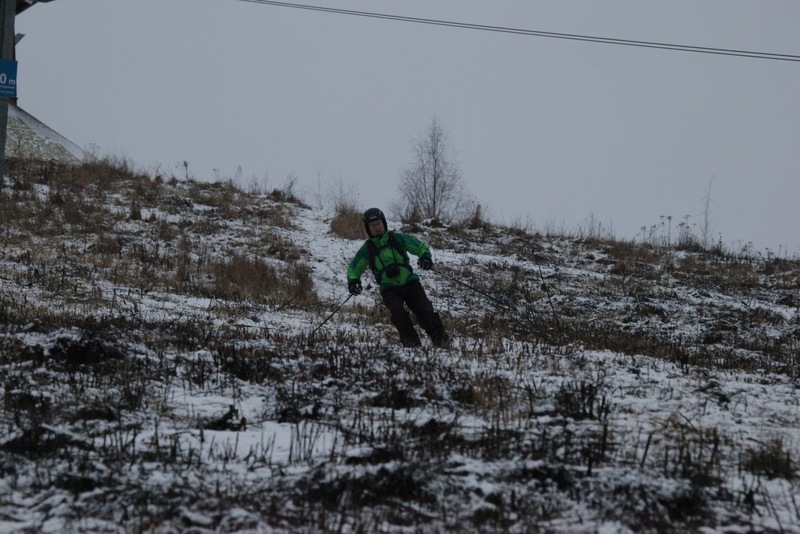 The slopes are small, just 40 meters of altitude difference. Both slopes are served by a chair lift. In the winter Karuizawa is a more reasonable ski area, with a 215 meter altitude difference and 11 different slopes. The longest slope is one kilometer, and the steepest slope goes up to 30 degrees inclination. 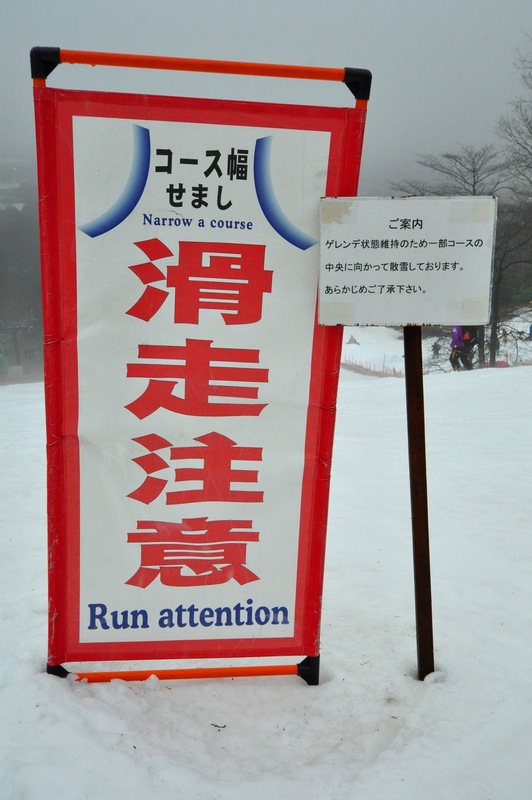 Given that the two open slopes are small, the skiing is not very interesting. But it still feels good to ski outside. 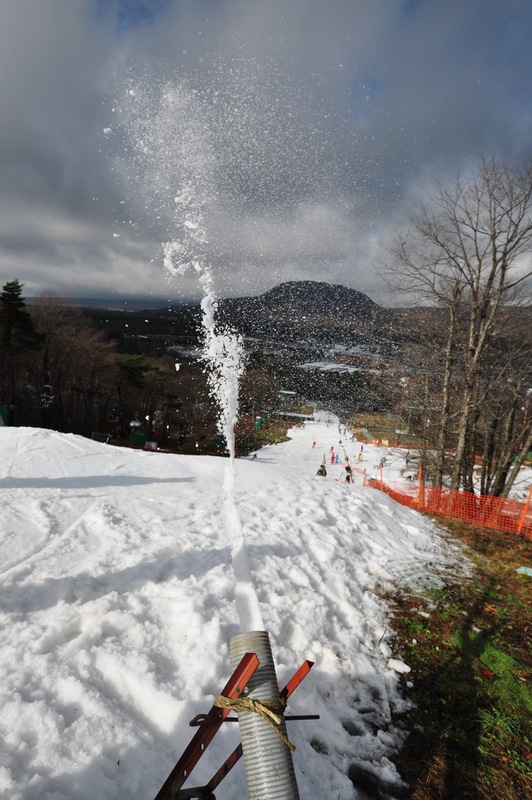 The snow making system provides some additional entertainment, as it tends to generate high snow dunes where the tube ends. These forms are fun bases for jumps. 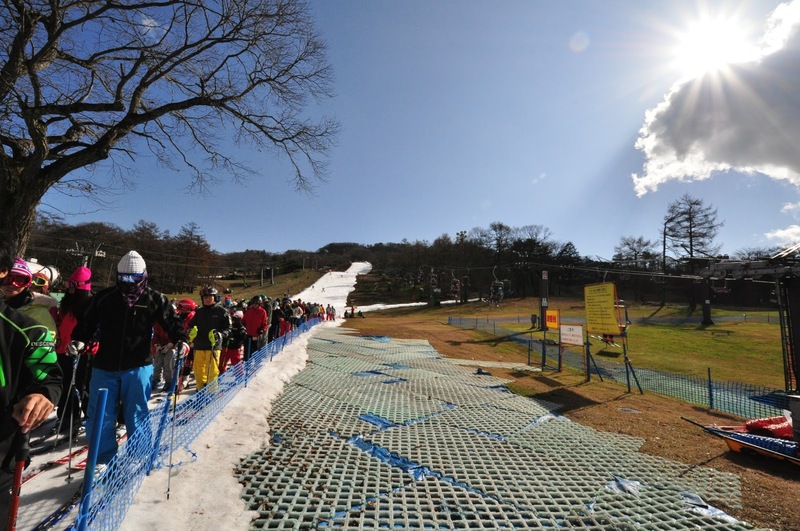 In good weather and during weekends there are long lift lines. When it is raining cats and dogs... not so many lines. A couple of kilometers from the ski area resides the mighty 2568-meter Mt. Asama. This is an active volcano, last erupted in 2009. It would be a tempting ski descent destination for volcano skiers, but can only be done in the winter, if at all. There seems to be very little information about skiing this mountain in the Internet. As far as I was able to determine, the Karuizawa Prince Hotel is the only accommodation next to the slopes. The hotel exists in two parts, the East and West hotel. The East one is closer to the small slopes that were open and also houses the local spa. I did not visit the East one, but I liked the West one. On-slope food is available in the restaurant next to the base building. Interestingly, while the kitchen is staffed with waitresses that bring the food out, the ordering process takes place through a machine. 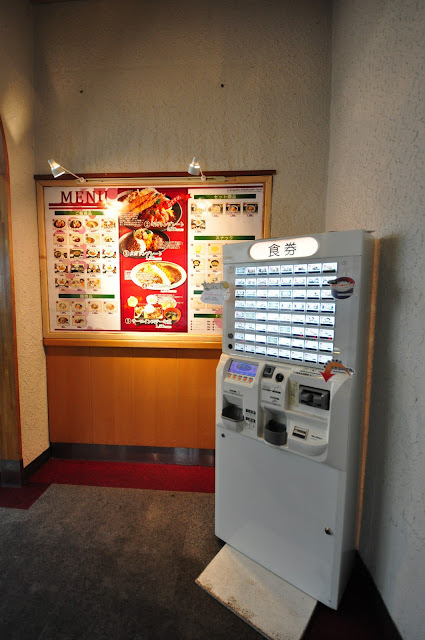 A soup costs 500-600 Yen, or 5-6 €. 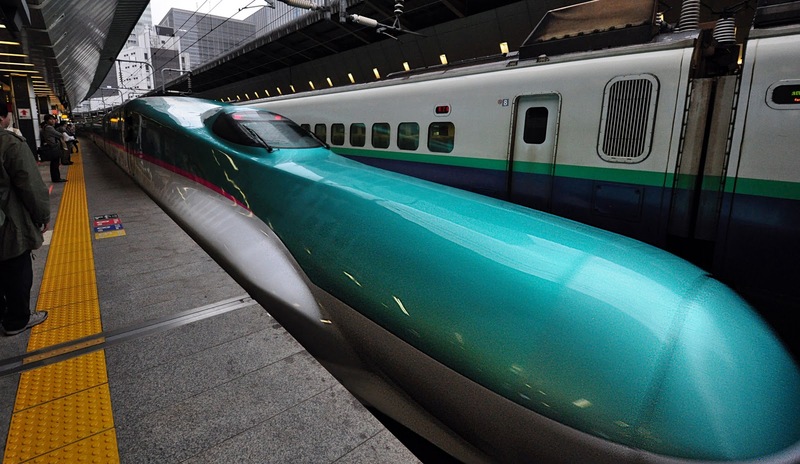 You can take the high-speed Shinkansen train from Tokyo main station to Karuizawa, the trip takes roughly an hour and is very comfortable. Japan would be great ski destination, except that I am here too early for the season. 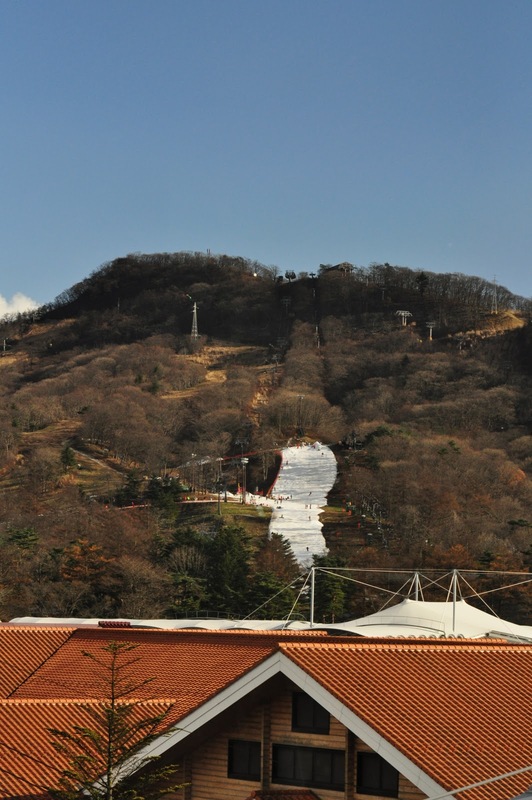 The most interesting skiing is around Nagano, the site of the 1998 winter olympics. 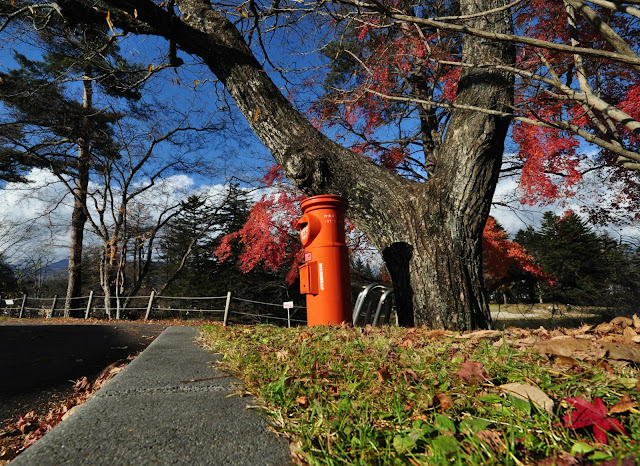 The area that I wanted to visit in Nagano was Happo One. 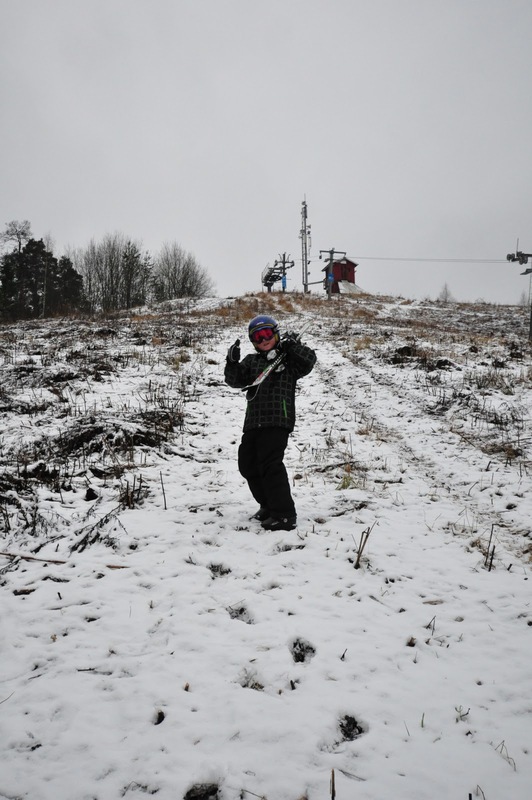 Alternative, there is good skiing on the island of Hokkaido in the north. Really. 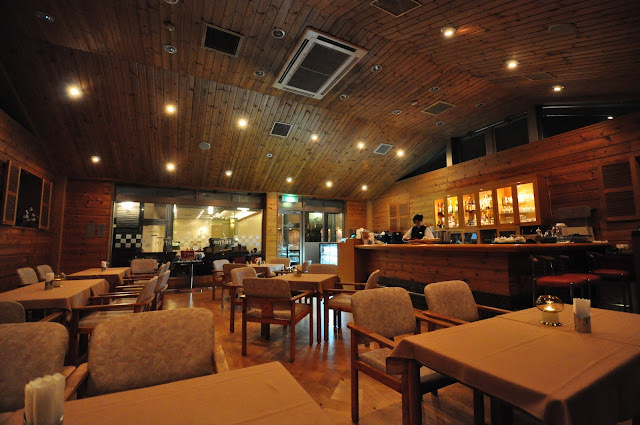 I had a lot of fun in the afterski at the Marron bar at the Karuizawa Prince West Hotel. 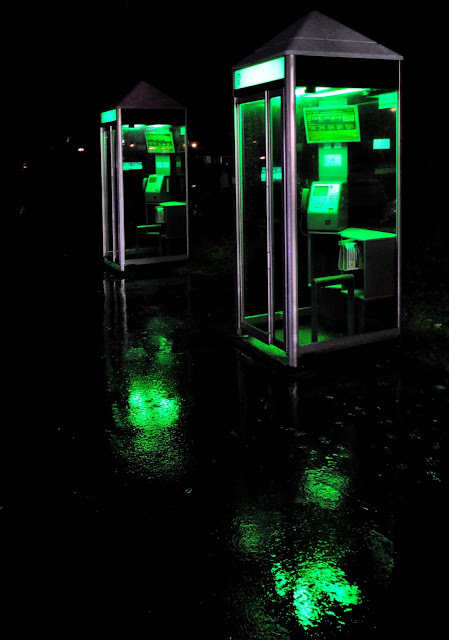 However, I was all alone. Not recommended. It is possible that there would have been more interesting bars in the shopping center, however. By the time that I realized there is no one in the bar, I was too tired to walk back to the shopping center. Sleeping is good way to spend your evenings, too. 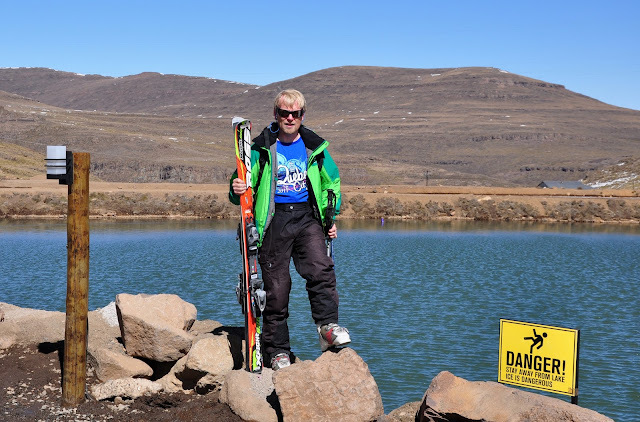 I have now skied in 38 different countries or states. 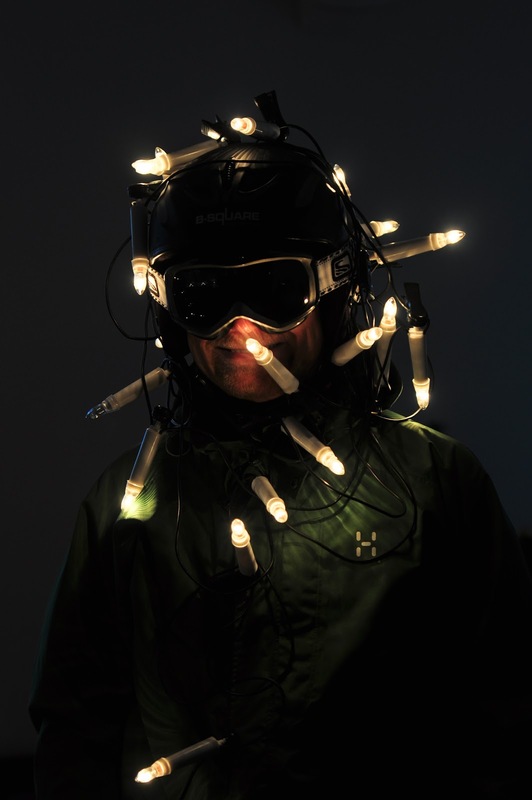 As I am writing this, I'm sitting in the Haneida airport in Japan, waiting for a flight that takes me to North America for business and a new state to be conquered on skis. 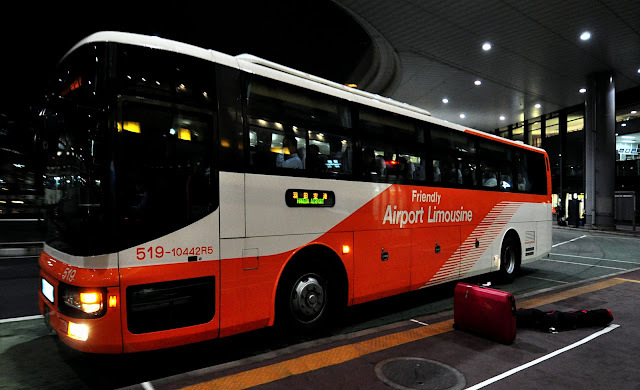 Incidentally, I looked at my itinerary two minutes after Narita Express had closed its doors, and ended up on the wrong airport. Luckily I had enough time for the extra two hour detour by bus.